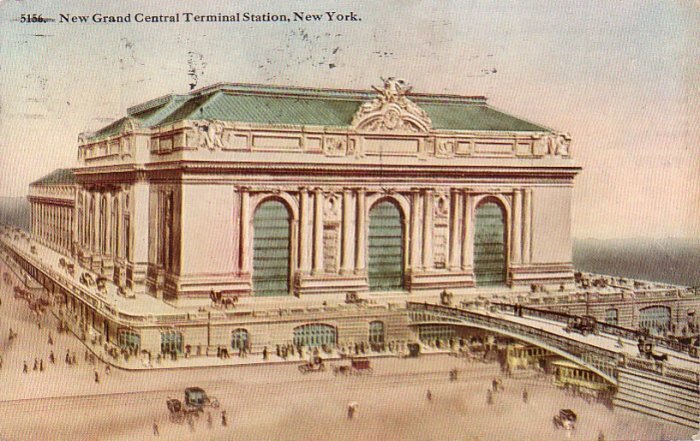 The Grand Central Terminal covers 69.8 acres facing East 42nd Street, from Vanderbilt to Lexington Avenue., the largest and most costly Railroad Station in the World. It has 31 miles of tracks under cover, with a capacity for handling 200 trains and 70,000 passengers each hour. There are 42 tracks for long distance express trains on the 42nd street level, and 25 tracks for suburban trains in concourse, 25 feet below the street.